The Madison Police Department K9 Unit can only be maintained because of our dedicated sponsors. 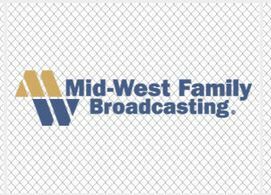 Our most recently added police dog was purchased thanks to Mid-West Family Broadcasting, which became a sponsor in exchange for naming rights of the dog. Other local businesses and even individuals have generously sponsored police dogs. We continually need sponsors. The average career of a police dog spans six years. Squad cars are placed under considerable stress and need to be replaced repeatedly. Please consider being sponsor. Another way to show your support for Capital K9s is by sponsoring a a fund-raising event. Capital K9s hosts two major fund-raising events each year: K9 CSI and Dog Paddle. There are a number of expenses related to these events, such as cost of permits, venues, advertising and more. Those expenses consume the funds that would otherwise be used to care for the police dogs. We rely heavily on fundraisers in order to maintain a superior K9 unit. When you become a sponsor of either a police dog or an event we readily acknowledge your efforts to build a better and safer community for everyone. Contact us today to become part of the Capital K9s. Become a sponsor!